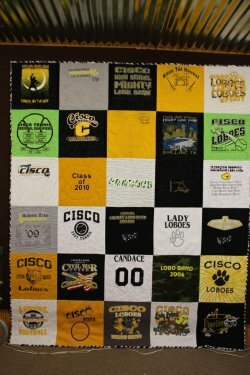 T-Shirt Quilts custom made from your treasured t-shirts. 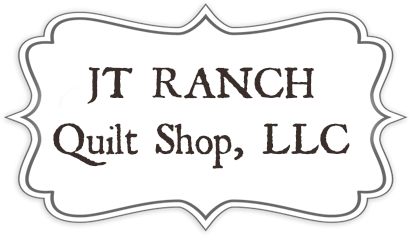 Custom Quilts: (Including: piecing, batting, block preparation and quilting....edge to edge quilting.) $14.00 a block. Stippling Quilted T-Shirt Quilts:(Including: piecing, batting, block preparation and stippling quilting. )$13.00 a block. Blocks stabilized and prepared: $8.00. Binding: Machine binding .15 per linerar inch around the perimeter of the quilt. Sashing: (Fabric between each block) $5.00 a block. Borders: $35.00 for each border. Embroidery: A message can be monogrammed on the border or blank t-shirt block. Examples: a name, year or event (birthday, graduation, wedding year, etc. ).